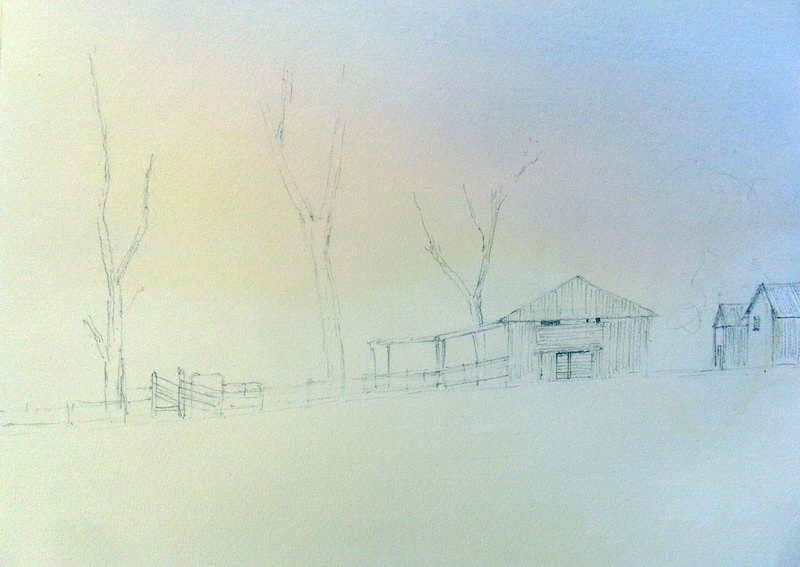 Usually I start by painting the sky and ground as the first step of my watercolor landscapes. In this case as I want the light to show through I painted the sky first. I continued the weak Cad Orange component of the wash all the way down to the bottom of my watercolor paper. You can see the colors I used for the sky in the palette below. 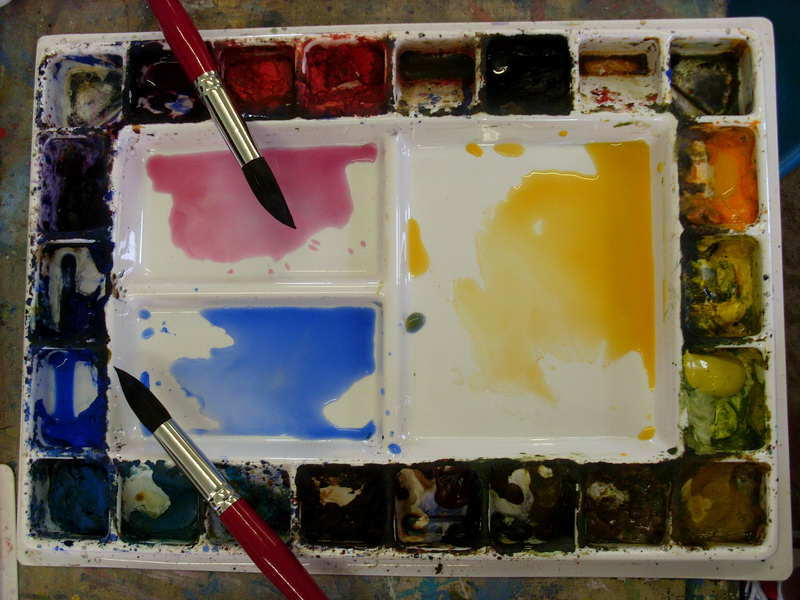 I used weak tea strength mixes of Cobalt Blue, Permanent Alizarin Crimson, and Cadmium Orange. The Winsor and Newton Cad Orange is not very red so if you use a more red orange from another manufacturer you will have had add some yellow to it. As the light is coming from the left hand side I started by painting the Cobalt Blue, at a bit of an angle at the top right hand corner. This needs to be painted quickly, with your easel at about a 30 degree angle, so that as you add the other two colors they flow into one another to give you a very nice smooth transition between the colors. If you paint the sky too slowly and with only a small amount of paint in your brush you will end up with unnaturally sharp transitions which will not look correct. It is the flowing motion of the water (and water color) down the page that you have to utilise when painting a sky like this. I let this stage dry thoroughly before proceeding to the next step which is the foreground under painting.